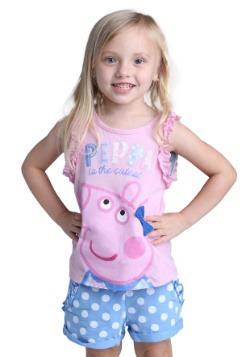 Winter time is super exciting for Peppa Pig's family! Nothing gets this little pig down. For instance, her and little George might not have had toboggans like all of the other little animals but the Pig family all still had plenty of fun at the sledding hill. Once they got to the top of the hill they simply jumped on Daddy Pig's belly. 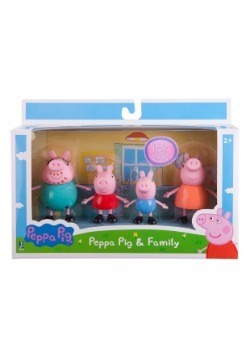 Daddy Pig might have had a bit of a cold back but Peppa and George were nice and warm and that's what matters, right? Winter is full of excitable activities that you only get to do in one season. We've watched Peppa and her little brother build an adorable snowman. We've seen Peppa Pig learn to ice skate. She may have fallen a couple times but in the end, she really got the hang of it! Before the holidays, Peppa and her friends even got to hop on a train and head out to Santa's grotto to talk to him about Christmas wishes! Boy, it's good to be a cartoon pig in the winter time. 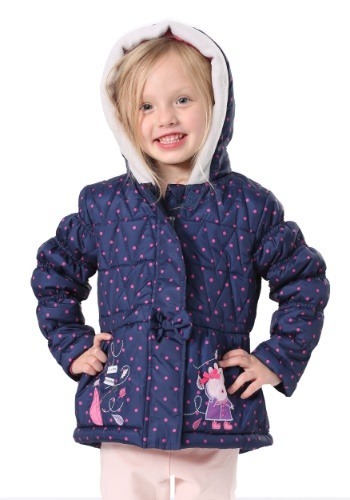 Your little girl can learn plenty of cold weather enthusiasm from little Peppa. 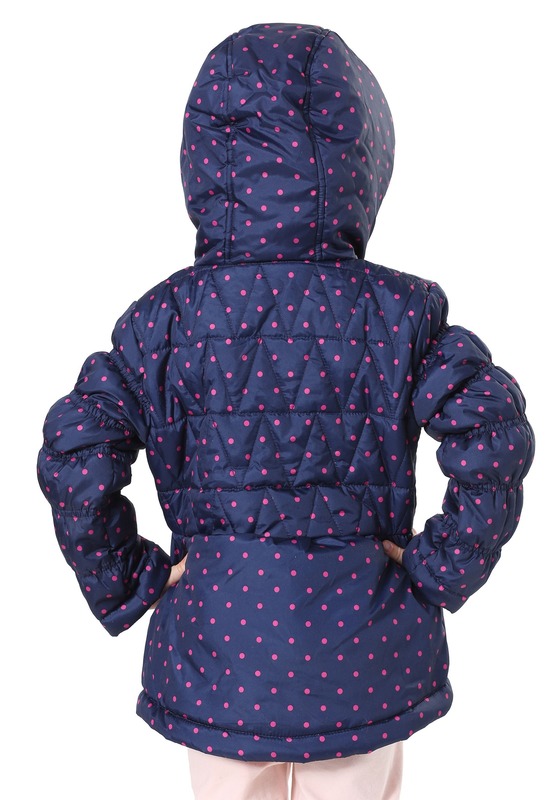 She'll be able to recall all the good times Peppa has had in the snow when she's sporting this adorable subtly themed jacket. It's fully lined in fleece and has both zipper and hook and eye strip flap to make sure she stays cozy and warm. 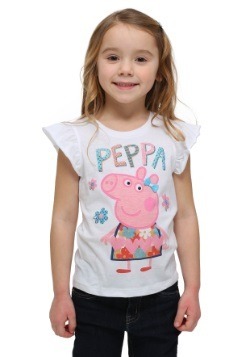 The front has an appliqued Peppa with a blown away umbrella. The puffy design makes it a perfect jacket for the transitional seasons of fall and spring as well. 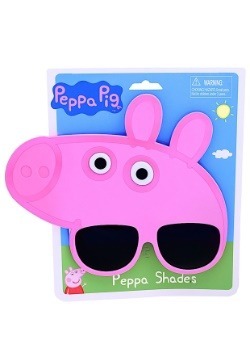 Whatever the weather might be, Peppa Pig always makes her own fun! 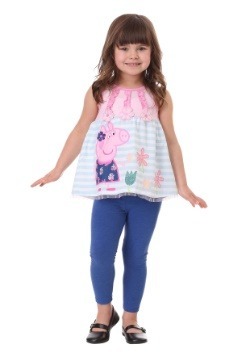 4T - $32.99 Only 1 left! 5T - $32.99 Only 1 left!